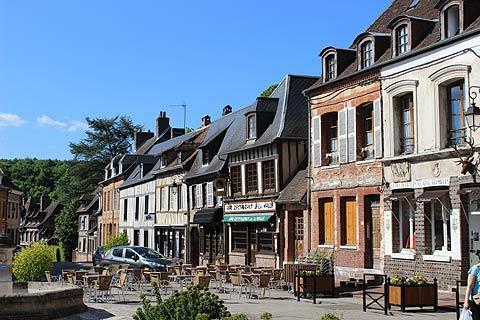 Lyons la Foret is a classified 'most beautiful villages of France' situated 30 kilometres east of Rouen, in a beautiful forested setting in Normandy. The village was founded on the site of a castle that once stood here, constructed in the 12th century. 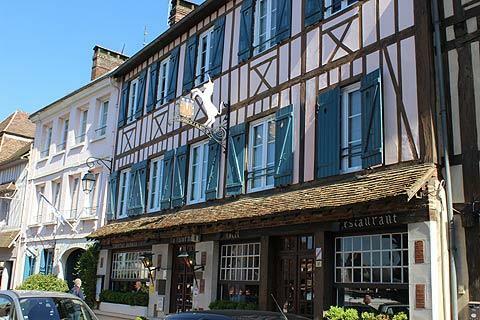 Like many of the pretty Normandy towns, it is most notable for its half-timbered houses, typical of the region and mostly dating from the 17th to 18th centuries, built after much of the town was destroyed by fire at the end of the 16th century. 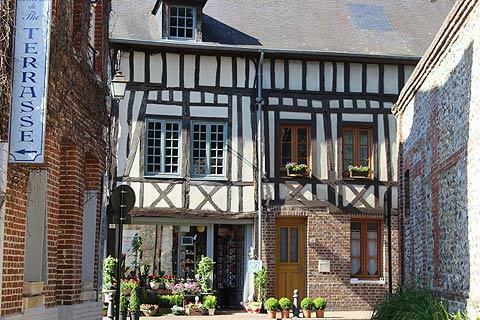 The main pleasure of a visit comes from simply wandering through the streets admiring the houses - many are half-timbered, others are in red brick, some are very highly decorated and many are covered with flowers, the ensemble creating a very picturesque village. 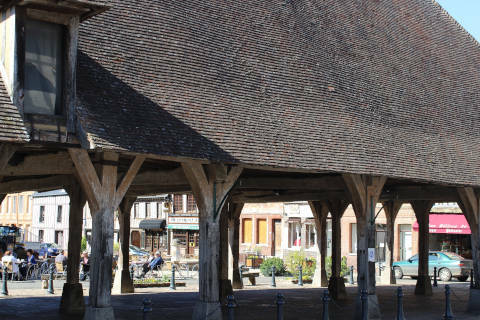 Individual sites of interest in Lyons-la-Foret include the covered market place, dating from the 17th century and still the location of the weekly market, held in Lyons-la-Foret each Thursday. The market hall is at the centre of the town with various shops in the surrounding buildings. You can also see the 12th century Church of Saint Denis and belltower. Also in Lyons-la-Foret you can visit the town hall - upstairs is the room that was once used for local tribunals and is now used for marriages. It is a charming room with wood panelling and period wallpaper and furnishings. 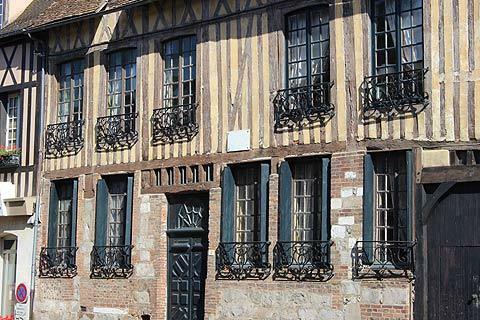 Some notable events have taken place in Lyons-la-Foret: Henry the First died in the castle in the town, and Maurice Ravel wrote some of his music here - you can see the house where Ravel lived for three years at Maison de Ravel, at the top end of Place Ravel...it is a fabulous building with a half-timbered facade and numerous lucarne windows in the steep slate roof. On the edge of town there is a pleasant walk down to the river and passed a Benedictine convent which dates back to the 17th century. The convent dominates the view along the 'Vallée de la Lieure'. 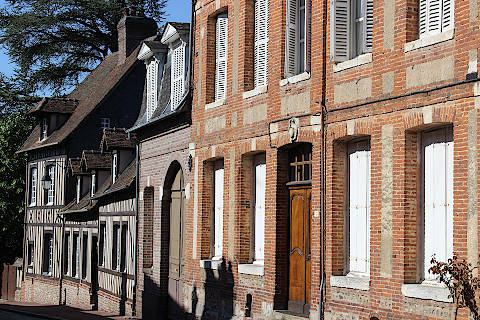 Walk along here to the attractive grouping of houses known as 'Les Trois Moulins' or 'the three mills'. 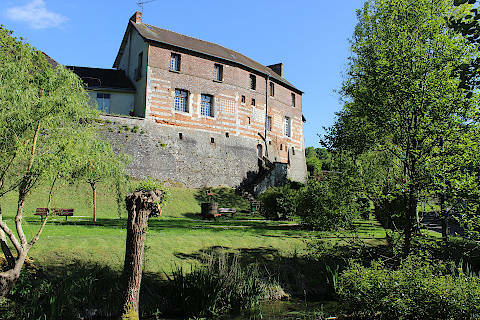 Lyons-la-Foret has twice been used as the setting for film versions of Madame Bovary (the first version was by Jean Renoir, the second by Claude Chabrol). Both times the halle with its wonderful deep roof and grain loft were in the film. 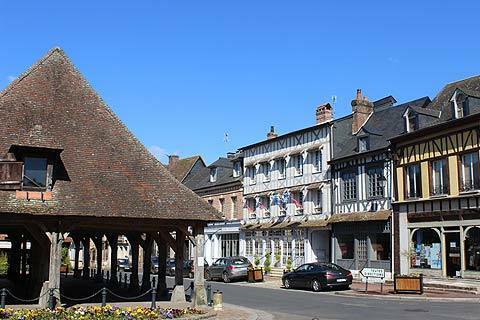 Lyons-la-Foret has been awarded 4 flowers in the national 'village fleuri' awards and is indeed very pretty with all its window boxes and hanging baskets and planted areas. Close by to Lyons-le-Foret there are a couple of castles worth a visit - the castle of Fleury-la-Foret, and the castle of Vascoeuil (which also has some interesting modern sculpture set in the grounds). 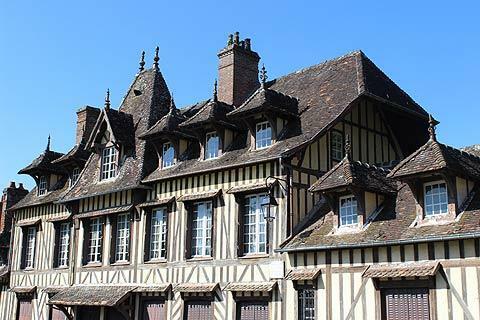 There are also two attractive abbeys to visit: the Abbaye de Mortemere and the Abbaye Notre-Dame de Fonaine-Guerard. 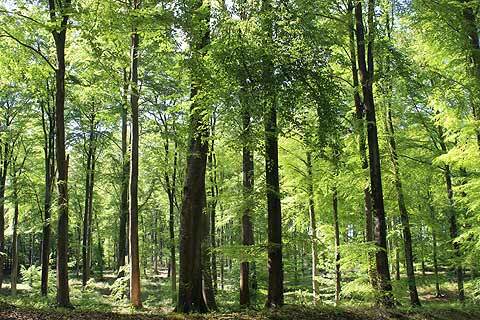 The forest around the town is well worth exploring - it is still one of the largest and most beautiful Beech woods in Europe, and a lovely place for a quiet walk: indeed, the forest is the main attraction for many visitors. The tiny Chapel of Saint-John the Baptist just outside the town at Essart-Mador is also picturesque. 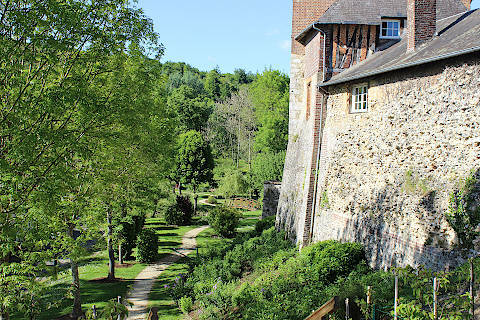 A little further, you will certainly want to visit the historic centre of Rouen, and other interesting historic monuments include the abbey at Jumieges and the castle of Richard the Lionheart at Chateau-Gaillard above Les Andelys village.